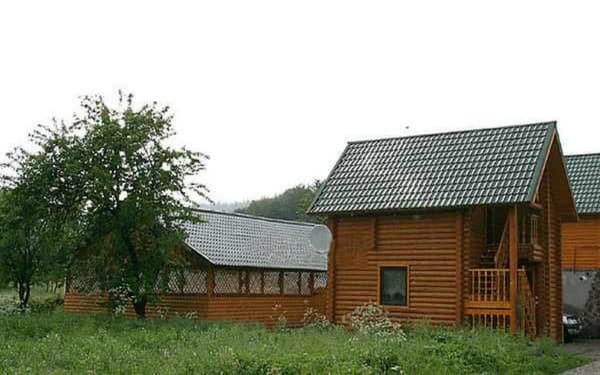 Private estate "Podkova" is located in the village of Pystyn near the Sheshory. 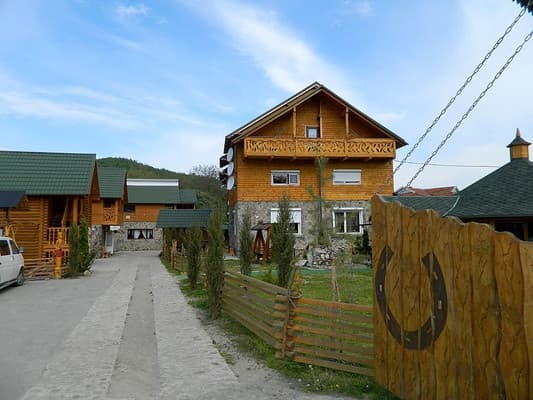 It consists of a two-storey stone house, a wooden cottage and a sauna with a banquet hall. The hotel has 11 rooms, which have everything you need for a comfortable stay: bathroom, television, comfortable furniture. On the territory of the estate there is free parking, a covered dance floor, a garden, a summer terrace, a brazier, a children's playground. Convenient approach - an asphalt road. Organized excursions to the Polonin, to the estate of St. Nicholas, hiking, picking up mushrooms and berries. Description of the room: The room is located in the main building on the second floor. On the ground floor there is a living-dining room with a sofa, 2 armchairs, a TV. The house has 2 bathrooms, in one - a toilet, a washbasin, in the other - a Jacuzzi, a shower cubicle, a washbasin, a toilet, a bidet, a washing machine. 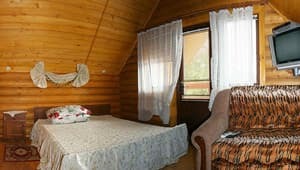 Description of the room: The room is located in a two-storey wooden cottage. The room has a double bed, a wardrobe, a TV, a balcony, and an extra bed - a folding chair. For 2 rooms a common bathroom (washbasin, toilet, bidet). 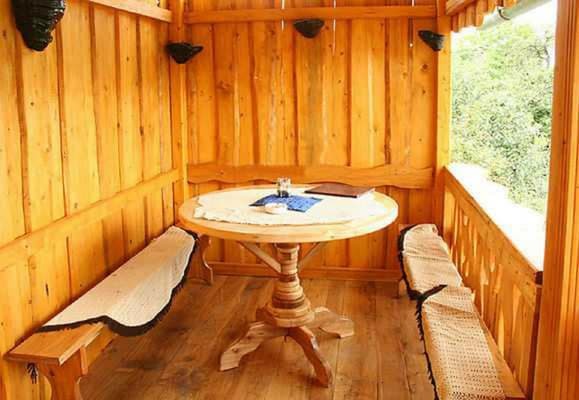 Description of the room: The room is on the second floor of a wooden cottage. On the ground floor there is a banquet hall for 100 people. On the second floor - 4 suites with a double bed, TV. Two rooms have a folding armchair. The room has an exit to the terrace. A bathrobe and slippers are provided. Children under 6 years without extra bed - free of charge. Additional place - 100 UAH. 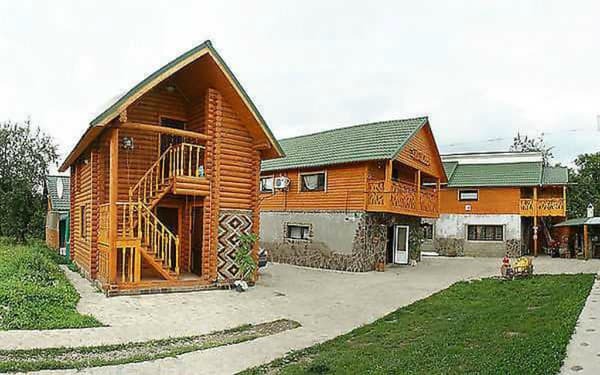 In the village of Pistyn, in front of the village of Sheshory, 1.5 km from the road Kolomyia - Kosov (R-24). To the nearest store - 100 m. To the nearest ski lift - 3 km (in the territory of the National Park "Hutsulshchina" near the village of Sheshory). By bus from Kosovo or Kolomyia to the village. 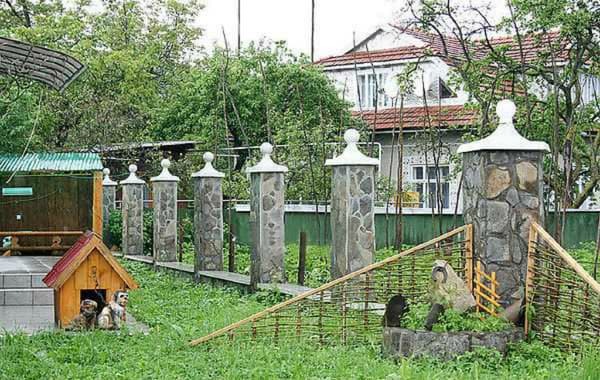 By car on the highway Kolomiya - Kosiv R-24 to p. Pistin, drive to the end of the village, the house is to the right of the road.